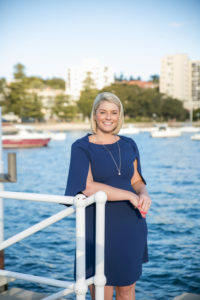 Ashlea Merlo worked extensively across property management businesses in Australia, driving growth as trainer and consultant, before seizing the opportunity to apply her knowledge and talent as Head of Property Management in one of Australia’s most exciting growth businesses, Clarke & Humel in Manly, NSW. I’m a true believer in personal development and investing in yourself. I’m constantly learning and growing in the industry and as a leader. I’m not the best that I can be right now. 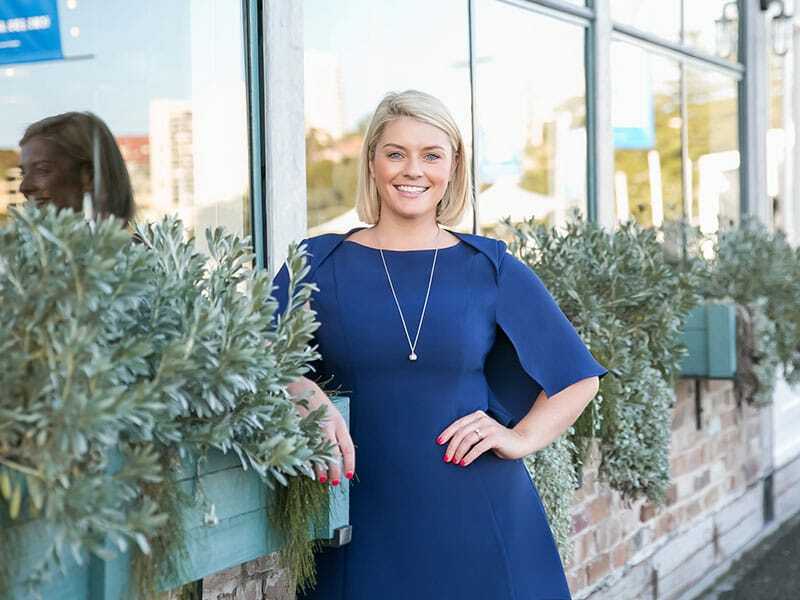 In five years’ time I’m not going to be the best that I can be; but every single day I’m going to chip away at growing a part of myself and learning to do something better,” says Ashlea Merlo of the mindset that has propelled her to leadership. Ashlea’s growth game is strong – and she is a leader who draws on experience, meaning and purpose to drive action and growth in the business and the people she is leading. From a background in the corporate world of real estate, driving property management excellence across a national network, Ashlea’s decision to put down roots at Clarke & Humel was born from feeling at home, surrounded by those driven to achieve in the same way. The opportunity to work locally and intensively with one team has allowed Ashlea to find reward in the growth of others, parallel to the growth of the department. “It’s amazing watching your team go from strength to strength, listening to the conversations that they’re having with people and ultimately helping them develop their skill set and knowledge base,” she says. Growth in business is about redefining the standard of excellence and pushing those boundaries to reach levels of high performance and high growth. They cannot be maintained or meaningful, however, unless those within a business are committed. With a belief that great culture stems from great leadership, it is evident that Ashlea’s individual success, and that of everyone in her department, is connected to the success of the business and its core values. “Our clients know that no one will work harder than us,” says Ashlea. “I’ll give you a leasing example. We aren’t restricted to Wednesday through Saturday open homes. We will show properties whenever we need to in order to get a property leased. Our clients, from that perspective, know that we will go above and beyond for them to make sure that we’re getting them the absolute best price and the best quality tenant, resulting in the best return on their investment. We wouldn’t want to limit their pool of getting the best tenant if they are unable to make it during those scheduled times. When it comes to leading a team engaged in the unrelenting pursuit of excellence, Ashlea never loses sight of what people will ultimately need from a leader. From a young age, Ashlea learned the power of positivity, and she counts two significant women as her leaders and mentors. “Cherie (Humel, Principal of Clarke & Humel) is the main reason why I wanted to work at Clarke & Humel … because of her values. She’s an incredibly inspiring and talented woman. I think it’s important to have great leaders and mentors around you as women that empower women,” says Ashlea. And the respect is mutual. “Ashlea had a broad understanding of PM businesses and a fantastic depth of knowledge of property management, in which she was essentially helicoptered into and out of businesses across Australia, consulting on efficiencies in systems and processes to make them world class,” says Cherie. Solving problems is the currency of the property manager. 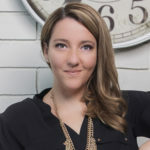 However, Ashlea’s example of excellence operates on a level that is connected to the decision-making of landlords and tenants. Connecting activities to a purpose builds trust, creates value and generates the type of loyalty that Ashlea enjoys from her position as trusted advisor to clients. “I believe that really understanding why people invest in property and ultimately wealth creation, how you can help them leverage their investment portfolio, is going to give you a completely different competitive edge,” she says. Ashlea believes by providing value in this way, and by growing to find new avenues of value to clients, property management can limit the threat of technology, defend the proposition of professional management and demonstrate the value of an investment in a premium service. 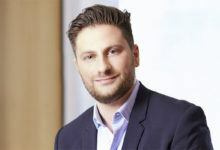 “I think there are still elements of the industry that are incredibly complacent and outdated. 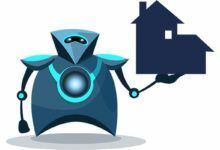 Ultimately, unless we up-skill ourselves and our knowledge base, there’ll be web-based property managers removing the personal connection. Landlords pay a one or two per cent fee, and they’re just doing the basic activities in line with legislation. You lose the relationship component. 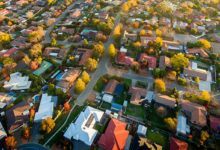 “I also think, typically, the old-school property manager is all about just nurture, nurture, nurture. That skill is incredibly important. It’s important to get those fundamentals right. One thing we’ve done a lot with my team is understanding the sales and negotiation side of what we do and being able to articulate to a client why we do things to leverage the investment,” says Ashlea. Ashlea is the archetype of a property manager who is operating and leading in excellence. Excellence is dynamic; it changes. The goalposts to excellence always move, and you’ve got to move with them. “If you’re not going forwards, you’re going backwards,” says Ashlea.